In Ephesians 6:10-18, Paul describes for us the armor of God, tells us to put it on, and exhorts us to stand firm in it against the principalities and powers of this present age. Recently this passage was read at one of our church prayer and worship services. 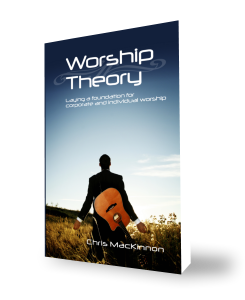 As it was read, I could not help but apply the symbolism to worship. In worship we have the ability to exercise ever element of the armor of God. In fact, if we don’t incorporate these, our worship is diminished, reduced to a state less than it has the potential to be. Sure, we might feel “blessed” or “energized,” but these feelings are not the purpose of our worship. Truth, righteousness, the Good News, faith, salvation, and the Word of God. Each of these finds a place in our worship experience. We should declare the absolute truths of the greatness, faithfulness, grace and mercy, and sheer awesomeness of the one, true, almighty God. Our approach should involve the cleansing of lives from sin that we can come before a holy God, cleanes in the blood of Christ sot aht we can come before Him in right standing with Him(righteousness). Praise should declare the Good News so taht those who hear it might be fascinated to the point of desiring to know God. That we come to lift our hearts to an invisible God is an exercise of our faith. If it were not for salvation, we wouldn’t have much desire to worship in the first place, much less consider it time or energy well spent. And we can utilize the Word of God as a vital element in our worship. Not only does its proclamation increase our faith, but it encourages and convicts our hearts, and so produces a response through our worship of praise or repentance. Is it incorrect or heretical to say that our worship is spiritual warfare? I hardly think so. After all, besides prayer, what else can so effectively put on and make us of the armor of God? Let us strive for a more complete picture of worship, and thereby enjoy a more powerful move of God that can release victory in the spiritual realm. For only then can we have victory in the physical.